Creating custom and personalized paper is part of the creative process for mixed media artists, scrapbookers and paper crafters. Paper artists alter papers in various ways — painting, rubber stamping and adding beads and fibers. Transferring pictures on to paper is one way to design personalize paper through using images that the artist has selected or even created herself, by drawing, painting or photography. There are several transfer methods which give a translucent, semi-transparent look to the final image that will add visual interest and texture to the art project. Select the image that you want to transfer. Black and white photocopies made on a laser printer and images from magazines work well; inkjet printer pictures and photos are not suitable. Prepare the picture by cropping using scissors so that there is no extra paper surrounding the focal point of the image. Consider using deckle scissors to give an irregular edge or cut out a more organic shape. Cut a piece of clear packing tape slightly larger than your picture. Adhere the tape directly to the top of the image. Smooth out any bumps or air bubbles with a bone folder or the bowl of a spoon. If any air bubbles remain, prick them with a pin and smooth again. Place the tape in a bowl of warm water for about ten minutes. The paper will start to break down. Remove the image from the water. Using your fingers, rub away all of the paper from the tape. If some of the paper is difficult to remove, dip the tape back into the bowl of water or hold under running water. Continue this until all the paper is gone. Allow the tape image to dry, then press the translucent tape image onto the background paper. 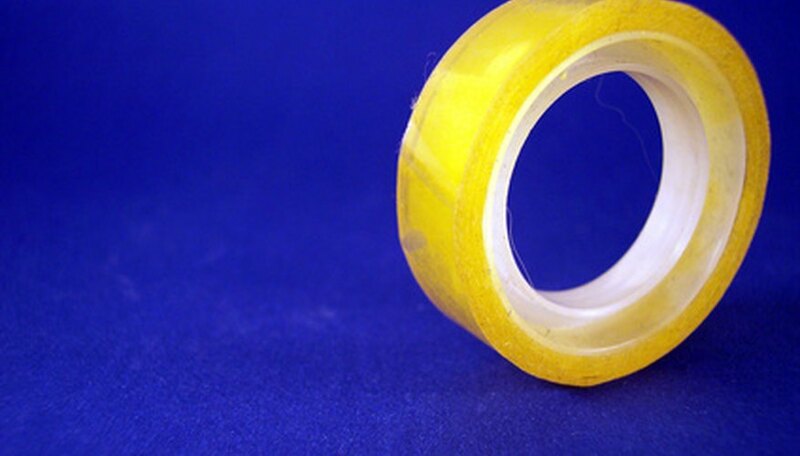 If the tape does not have enough adhesive left on it, use spray adhesive to stick it down. Select and obtain the appropriate acrylic medium. Heavy gloss gel dries to a completely transparent glass-like finish; matte fluid produces a flat matte surface which shows all the details of the image; granular gel dries to an irregular surface, giving an interesting texture but losing some of the image details. Apply the acrylic medium to the front of the image with a brush. Brush the first coat horizontally across the image and let dry. Apply a second coat vertically down the image and let it dry. Apply a third coat and let this dry overnight. Dampen the paper with a wet sponge and let it absorb the water for a few minutes. Use a soft cloth to carefully rub the paper to remove it. This may take some time and you may have to re-wet the paper several times. Allow the transfer to dry and check for any paper that remains on it, and remove this paper. Using spray adhesive or a clear glue or acrylic medium, adhere the transfer to your background paper. Scan your image into your computer if it is not already digital. Use a photo-editing program to make any changes you need to the image — for example, cropping the picture or changing the colors or contrast. Insert the transfer artist paper into your printer so that the image will print on the white side of the paper. Print out the image. Trim any excess white areas from around the image. Preheat iron according to the instructions for the transfer paper. Place the image face down onto your background paper and iron. Lift the paper to ensure that the entire image has been transferred. Use full sheet clear labels in place of the packing tape.